Directed by Scott Cooper. 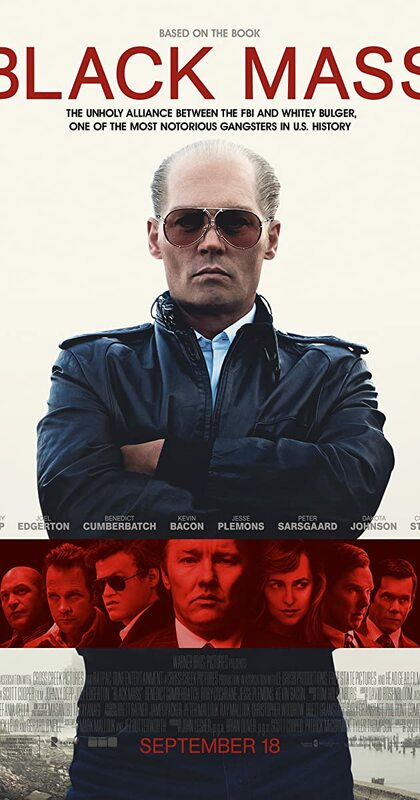 With Johnny Depp, Benedict Cumberbatch, Dakota Johnson, Joel Edgerton. The true story of Whitey Bulger, the brother of a state senator and the most infamous violent criminal in the history of South Boston, who became an FBI informant to take down a Mafia family invading his turf.